Holidays in New York Like Never Before! Let Nautical help you kick off the Holidays season this year in style while aboard your own holiday-themed cruise! 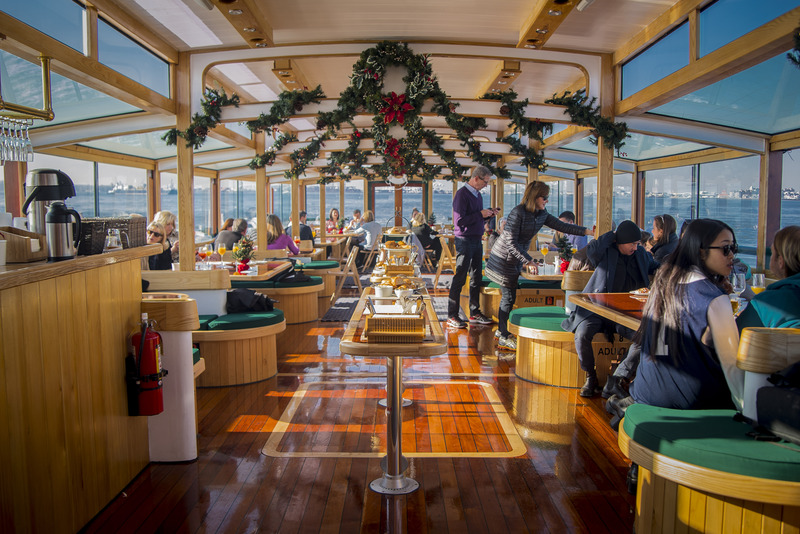 There are lots of excellent ways to celebrate the holidays aboard your private yacht in New York. Enjoy holiday tunes with the best lights in town, get comfortable with a warm blanket, you can even create a s’more station to really bring your guests into the Spirit of the Season. We can prepare any kind of meal you want for your guests. Our five-star chefs can prepare a full four-course meal, buffet style dinner, or cocktail serving sizes for guests. Working with us means getting what you want without the hassle. Take this unique opportunity to enjoy the city of lights lit up like never before for the holiday season. See the beautiful New York skyline decorated in holiday cheer all sparkling from the water. We pride ourselves in our event coordinating expertise and can give your guests whatever you wish including hot cocoa, eggnog, and cookies. We can decorate the interior and exterior of the ship with Christmas lights and trees or whatever you need to celebrate your holiday. Have a holiday party your guests will be talking about for years to come. Looking to book your next event aboard a private luxury charter? Contact us at 203-637-0270. This entry was posted on Tuesday, November 15th, 2016 at 2:20 am and is filed under News & Events. You can follow any responses to this entry through the RSS 2.0 feed.